We just returned from a 10 day trip to Italy on Story’s Treasured Cities tour and we had the most amazing trip. We were not part of one of the group tours as they were sold out so we were a bit nervous about getting around not speaking Italian. Story arranged everything soo perfectly for us that it took 100% of the stress out of the trip. Someone was waiting for us at every airport, train station etc to get us to our destination without a hitch. We had private one on one tours daily and the guides were incredible. Andrea in Venice, Susanna Buricchi in Florence and Sonia in Rome went above and beyond. The knowledge of every guide made the trip soo much more enjoyable. You have plenty of free time in each city to explore and the hotels are always right in the heart of the cities, all walkable. If you were even questioning story don’t, It’s worth every penny and we could not be more pleased. Best.Vacation.Ever. We just returned from an amazing tour of Italy. Our Tour Captain handled all of the details behind the scenes, leaving us free to enjoy our culinary and cultural immersion in the best Italy has to offer. 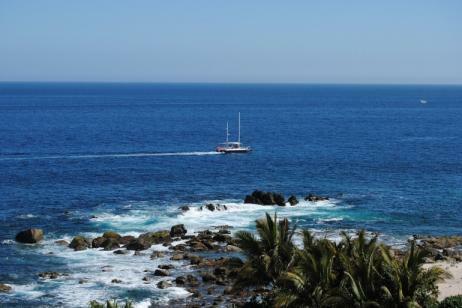 Perfect balance of guided tours and free time. Highly recommended! We decided to trust Story to deliver one of our bucket list trips. THEY DID NOT DISAPPOINT! The tour through Venice, Florence, Cortona, and Rome exceeded our expectations. Absolutely everything was FIRST CLASS. HIGHLY RECOMMENDED. We gave it 5 stars only because there aren’t 6. The published itinerary was delivered in spades with special additions, sometimes twice a day. We never touched luggage, as it was moved for us from location to location. We never had to deal with tickets for transportation or museums. The local, private guides were super. The included dinners and wine were superb. This is a no driving, hassle free tour. We are planning to take another Story Small Group tour. AND, as a special treat, the owner of the company was our tour captain. We tried several things that may be included in future itineraries. In the course of 9 days nothing flustered him. Everything was taken in stride, dealt with and resolved quickly. Nothing interfered with his fantastic service to his guests. We were not customers in any sense of the word. There was never a hint that Story was trying to watch the budget. Small group - There were 15 people on our tour (16 is maximum). The tour caption had the time to get to know all of us. We saw lots of groups that appeared to be 40-50 people! You get to decide which is best for you. The smaller group = higher cost. We thought that it was easily worth it. Walking - There is a lot of walking on this tour. There is always the option to use a taxi to get from place to place (extra cost). Some of the people on the tour with us had apps to count steps. Most showed more than 10,000 at noon time! MANY of those steps are on stairs and rough/cobble stone streets. Many of the stairs are inside attractions - not between them – so they can’t be avoided. By the end of our nine days, some tour group members were opting out of some planned activities. Opinion: If you can't complete a three mile walk, over uneven terrain, at a three mph pace (that's faster than most people walk), comfortably; get in shape. 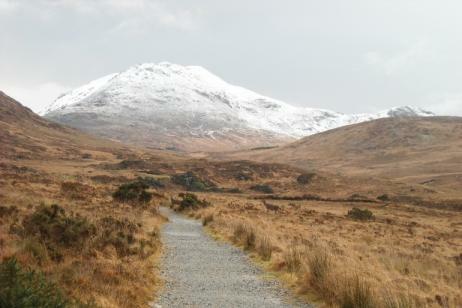 You’ll never do a constant three mile walk, on the tour – but it’ll feel like it. Weather - We had fantastic weather! Temperature in the mid/low 70's and two sprinkles in nine days. Mostly sunshine. A great time to go. Crowds - On the other hand, it wasn't such a great time to go. The crowds of tourists were overwhelming, everywhere except Cortona. I.E. : Our private, skip-the-line guided tour of the Vatican was especially BAD. We waited in line for about an hour and then once inside, we were literally shoulder to shoulder for the remaining two - three hours. It was nearly impossible to enjoy/understand what we were seeing. We spent more time trying to keep in sync with the group than looking at the art. The Sistine Chapel was NOT worth the time it took to get there. This was not something that Story could control. If the Vatican is important to you, go some other time of the year! If you are there during the busy season, opt out. There are thousands of fantastic things to see in Rome that won't be busy. Security - We had a tour guide point out a small group of gypsy/pick-pockets as we exited the Vatican and steered us around them. That was the only "issue" in nine days - not a big deal. But, we were reminded to be "vigilant" many times - especially around crowds. Navigation - Venice, Florence and Rome are VERY difficult to get around. There are many streets/alleys that run in apparently random directions. The maps available through hotels/tourist agents are not in adequate detail. Consider a hand-held GPS navigation system MANDITORY. Our phone did not have cell connectivity, so we down loaded the Google map. It worked once. Be very careful that you have a navigation device that works! Download a local map and test, test, test in airplane mode (?) before you go. 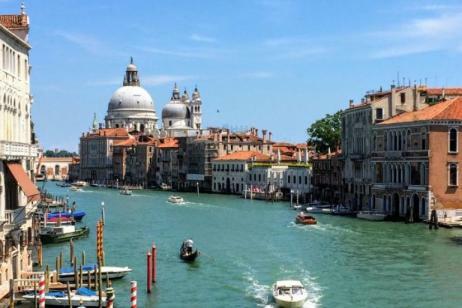 Driving – If you are going to Italy and renting a car, during the busy season, Venice allows no cars, problem solved. Driving in Florence and ESPECIALLY Rome is crazy. You've been forewarned. If you are considering a tour group, look no further. 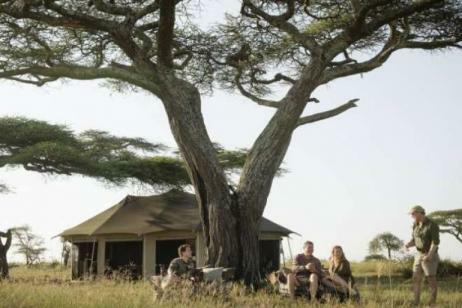 Story is top-notch and will make your trip a lifetime adventure to remember forever. I can't say enough. I will never travel large group ever again. This was worth every penny. Small group travel is the best way to go! This is my first experience with Story Land & Sea and it won't be my last. The attention to detail that this agency provides met all of my expectations and more. There was a wonderful balance between "touring" together and personal time to explore locations on our own. The professional guides that were provided in each location were exceptional and the location of the hotels made it feel like we were locals. Truly a memorable experience! far surpassed our expectations in every way. Hotels were in great locations and rooms were excellent. The restaurants chosen were fabulous, as were the tours in each city. 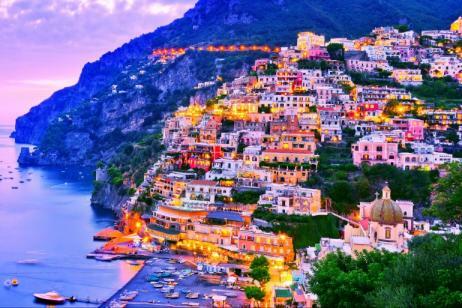 I strongly recommend the extension to the Amalfi Coast! It is breathtaking! 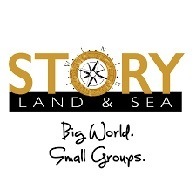 I am a travel agent and have traveled with Story Land & Sea on 3 of their trip offerings. In addition, I have sent countless couples and groups with them to taste the riches of the cultures,and explore the history of destinations only imagined. Story is a first class tour operator that has dedicated English speaking Tour Captains - as well as local guides to enhance your experience. Can't say enough about the service they provide. Finished my 1st tour with Story to Italy. They have a great team from office staff to tour captain and there choice of hotels,food, local tour guides. What a Great Value. Thank you!! So many reasons to love their tours. They were very organized at every level of my daughter and my trip to Italy. We added ( before the great cities tour) a couple of side tours. The leaders and the local tour guides were so knowledgeable and friendly. Having a group of 16 for the main tour has many benefits. And most of the tour part was walking ... Helped to work off the amazing dinners. The hotels were very centrally located. I also liked having some free time most days to explore on our own. We went to London, Paris, and Rome in September, 2015 with this company. Our Tour Captains were Ryane Moates and Mark Story; and they made our trip such a wonderful experience that I know we will take future tours with them again. I love the fact that this company deals with small groups of travelers. I highly recommend Story - Land & Sea by Queenslander for your next vacation!! We were on a tour of Portugal with Dan Dieckhaus in October 2015. It was a wonderful trip! Dan is a great tour captain and made sure our experience was everything we had hoped for. Portugal is a beautiful country, and I feel like we saw the best of it. We have taken several tours with Queenslander/Story--Land & Sea, and we have loved them all. I would absolutely recommend them. They do it right! My mom and I went to Italy with a Queenslander tour two years ago. It was perfect. I wouldn't change one minute. We are going again this fall! Can't wait! I went on a trip to Italy led by Caron. It was absolutely fantastic! Our group was small and Caron made the trip very enjoyable and memorable. I never have enjoyed traveling with a tour group before, but going with Queen slander is a different experience than other tour groups I've experienced. Can't recommend Queenslander enough! I can see why guests would rate QueensLander Tours with 5 stars, as the guests are treated like royalty for the entire tour. As an employee (Tour Captain) with QueensLander, I can speak from an insider's point of view. This company is run with the utmost of integrity and ALWAYS with the absolute determination to provide exclusive experiences and first class treatment for our esteemed guests. The entire team, whether in office or in the field, work tirelessly to provide the vacation of a lifetime for the very wise traveler who chooses QueensLander Small Group Tours! !